Welcome back to Stargate Command. When looking at the universe, there are many who believe that we are not alone. Over the past several weeks, we’ve learned that, in the Stargate Multiverse, this is most assuredly true. 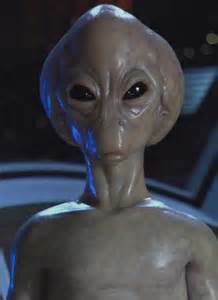 We’ve already met the Goa’uld, a childlike android and her “toys” the Replicators, The Ancients and The Ori. One of the most important discoveries of SG-1 throughout their many years of adventures, were allies. These allies run the gamut from Jaffa, Tok’Ra, little gray men and short, nature loving creatures. All have benefited from knowing the Tau’ri (Earthlings). The first ally that the SG-1 team added to their ranks was, in fact, the Jaffa resistance. In the first episodes of the series, we get a first hand glimpse of these genetically altered warriors. When these enslaved humanoids come of age, they are altered to carry the Goa’uld larvae in their abdomens. This allows the Goa’uld to continue having control over the warriors as well as the added benefits of the beefcake musculature, healing and long-life. For several millennia, the Jaffa feared their “gods” out of ignorance. However, over time, some began paying attention and questioning the validity of their so-called deities. Soon, an underground resistance began to grow. They patiently bided their time until Teal’c rebelled against his “god” Apophis and joined SG-1. Soon after, others began to come forward to quietly join the cause. Next up, we have the Tok’ra. When the Goa’uld were coming to power, Queen Egeria, Ra’s former mates, believed that forcing humanoids to be slaves and hosts was wrong. With this belief, she began birthing prim’ta (Goa’uld larvae) who didn’t have that evil streak in them. Egeria had time to spawn thousands who began fighting against the system. In an act of defiance, they named themselves the Tok’ra which means “against Ra”. Angry, Ra had her hunted down, removed from her host and imprisoned in a large stasis jar on the planet Pangar. Unlike their brethren, the Tok’ra only merge with willing hosts, humans who essentially have one foot on a banana peel and the other in the grave. The larvae then heal the human and together they live in one body, allowing both consciousness to thrive. Tok’ra understood the truth of living a symbiotic life. Hunted by the Goa’uld, the Tok’ra live on the run in pockets of hidden bases. They have infiltrated several of the System Lords and fight from the inside to destroy their enemy. 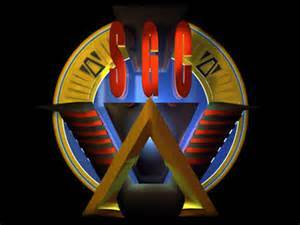 Even though they believe in only taking willing hosts, the first experience the SGC had with the Tok’ra was when Jolinar, a Tok’ra spy, escaped from the “god” Cronus and took up residence in Captain Samantha Carter to survive. Unfortunately, though, Jolinar was found by the Ashrak (Goa’uld combat, hunter, assassin) sent to kill her and died. But her death was not in vain. Her memories were passed on to Carter and she was able to find one of the hidden Tok’ra camps. After initiating first contact, many years of a tenuous relationship ensued. Together with the Tau’ri (Earthlings) and Jaffa, the Tok’ra were able to finally dethrone the Goa’uld menace. Lastly, I’d like to introduce you to the little gray men we’ve all seen on t.v. for the past 70 years. They are the Asgard. In the Stargate Multiverse, Thor is not a 6 foot blond, muscular god. He’s a 2 foot, gray, bald, black-eyed, naked clone. The Asgard are from the Ida system and long ago were 1/4 of the Alliance of Great Races. Once a tall species, the Asgard sought to extend their lifespan and began dabbling in cloning. The unfortunate side effect was that each clone; while able to pass on the memories and knowledge of the previous body were becoming more and more defective. And yes, they have visited earth a lot. As you can guess, they are the ones who gave rise to the Norse mythologies and cultures. An Asgard named Famrir is actually shown in the movie “Stargate”. However, then, the alien race wasn’t named. In Stargate lore, it is known that Ra attempted to bond with Famrir as his host. Famrir’s body rejected the snake and thus Ra stumbled upon Earth, and the rest, as they say, is history. In the series, the SG-1 team first met the Asgard in the episode “Thor’s Hammer”. Essentially, the Asgard left a trap on the protected planet Cimmeria, which would transport all Goa’uld to The Hall of Mjolnir and trap them in a labyrinth. If they made it to the exit, a sort of transporter would safely remove (and dispose of) the snake while saving the life of the host. Teal’c and O’Neill are transported there and have to try to find a way out. In the meantime, Carter and Jackson, with the help of former host Kendra, seek to find a way from the outside to help their team. 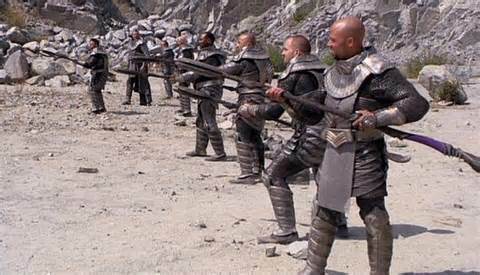 By the end, SG-1 end up destroying Thor’s Hammer to save Teal’c. This effectively removes the one means of protection for the planet. However, knowing that the aliens won’t leave Cimmeria unprotected, SG-1 leaves something called a Sagan Institute Box with Kendra so that the Asgard may contact the SGC should they wish. In a later episode, the Asgard rescue O’Neill from certain death. Over time, a true friendship develops between the team and the diminutive, but powerful, aliens. Toward the end of the series, the Asgard realize that their efforts to fix their cloning issues aren’t working. 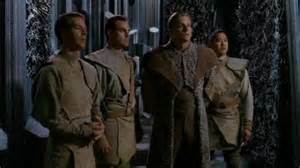 In a bid to keep their extensive knowledge and technology out of the hands of Goa’uld and the Ori, they decide upon a course of mass suicide. In doing so, they destroy their home planet, taking out a few Ori ships in the process. Their knowledge and technology are uploaded to the Earthlings, whom Thor has stated is truly the Fifth member of the Alliance of Great Races.